Aside from being a major nuisance to your pets, Fleas & Ticks also carry dangerous diseases such as Bubonic Plague and Lyme Disease. If your pet brings those pests inside, you could have REAL issues! 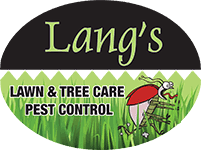 Here at Lang’s, we use a three-tier approach to controlling these two common outdoor pests. Targets areas where Fleas and Ticks breed and hang out waiting to hitch a ride on you or your pet. With our Flea & Tick Protection plan, we target the areas where they sit and wait for a host. Shady, moist areas and places where your pet frequents are hot spots on your property for flea and tick activity. These areas are in our sights and we will make sure that your family and pets are protected against an infestation. All treatments are made by licensed applicators and are virtually odorless. Call us for a free assessment of your landscape and an outline of what our program can do to help your family and pets enjoy your landscape investment. Are You Ready to be Pest Free? Although fleas can transmit diseases such as bubonic plague and murine typhus, they are primarily a nuisance pest to pets and humans. The bite of a flea can cause itching and redness on humans. On pets however, a flea bite can cause serious problems such as dermatitis, tapeworm, and anemia. The risk if being bit by an infected tick is greatest in the summer months (especially June and July) when the nymph stage is active. Make a habit of thoroughly checking yourself for the tiny nymph following any outdoor activities. About 30 to 50 percent of the Deer Ticks found in our area are infected with and able to transmit Lyme Disease. Once the tick carries its disease it will retain it to the next stage and be able to infect future hosts. Effective outdoor flea and tick control can be achieved when the entire border of wooded area and brush is treated. Your first flea and tick application will quickly control the adults and provide a 26-28 day residual for emerging adults. For maximum results applications should be repeated every 30 days throughout the summer.